Lost In A Dream is described as a "full coverage sage green crème" and it looks like quite muted / pastel in the bottle but the blue shows up more when I wear it on my nails. 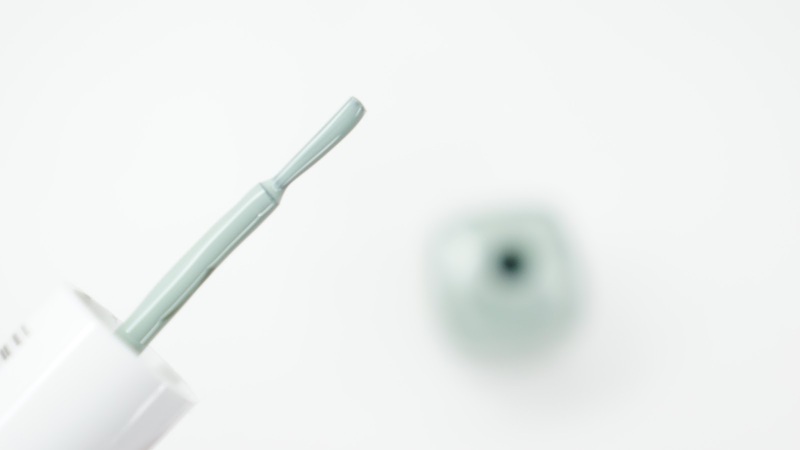 I love that the brush is wide so that it covers more surface area and creates more even layers. The formula is pigmented and so I only need 2 layers for full opacity, but it does feel more on the thick side. It's not too thick that it takes forever to dry though. I always use a thick layer of top coat and so I didn't see this shade or polish being any shinier than a more affordable brand. I do like that it does feel cushion/thick though since it helps with any potential chipping. Bon Boy-Age is described as a "nautical mint green nail polish" with a cream finish. It's more green and slightly darker than Lost In A Dream but it still has that same muted almost dirty pastel feel to it. 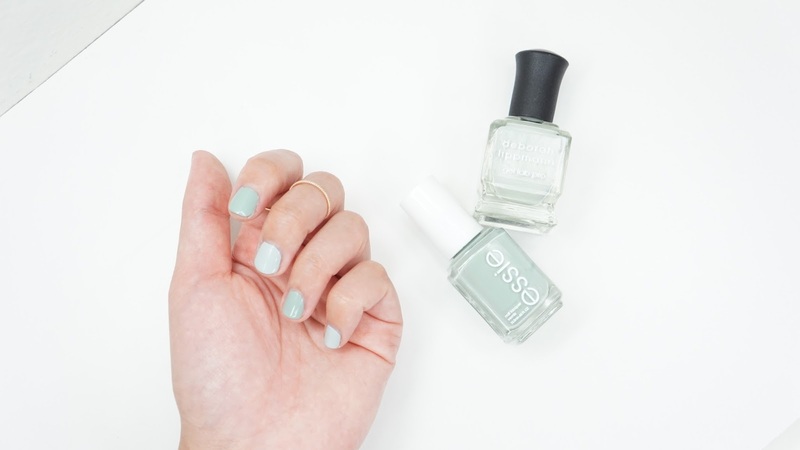 Essie's website is pretty handy in that they also have a comparison of where this shade fits or compares to their other teal or mint shades. It looks like if you have Mint Candy Apple, this shade may be pretty similar but with more or that "dirty" or muted feel to it. I personally don't like Essie's brush since it's more narrow. Essie's formula is also on the thin side and so I need 3-4 layers for their polishes to look opaque on my nails. I don't buy Essie in general, but I've heard from other nail polish fans that this shade is one of the better Essie Cream shades in terms of opacity and evenness. In terms of chipping, the Deborah Lippmann shade lasted a bit longer on me than Essie but not by much. I'm a chronic nail and cuticle picker and I work in an office typing all day and so my nails chip really easily. I personally don't find too many differences between polishes and so I wouldn't say the Deborah Lippmann formula is more "worth it" than the Essie formula. 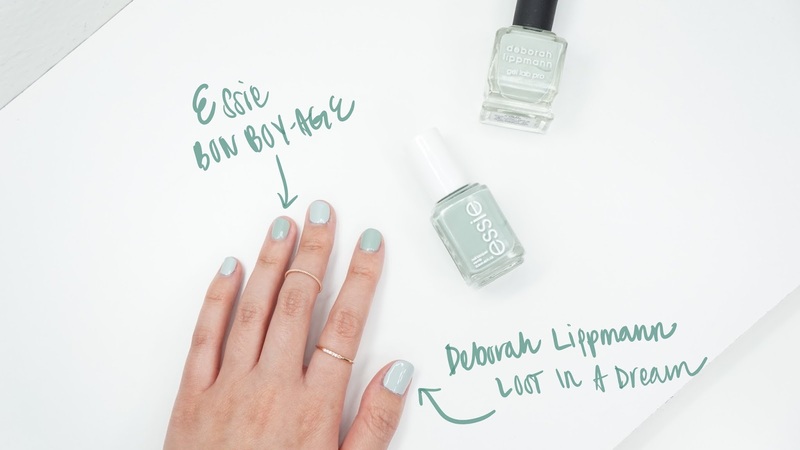 I'm a huge fan of both shades but if the Deborah Lippmann nail polishes are out of your price range, I would say that Essie Bon Boy-Age is a good alternative to Lost In A Dream. Regardless, they're both beautiful shades and will be perfect for spring. 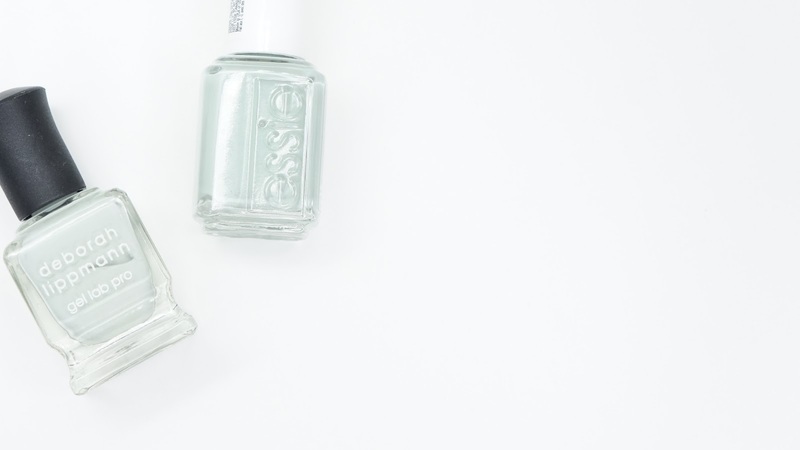 Do you have a favorite nail polish brand? What's your favorite nail polish shade?